What happens when half of Toyota owners who are leaving the company for another brand, start driving Tesla? Disruption. One that may not be true in a purely technical sense, but it will certainly collapse the existing theories and assessments about market segments, size etc. According to Jim Lentz, CEO of Toyota Motor North America. Toyota has an overall defection rate to other brands of about 9 percent, and about half of that is made up of Prius owners going to Tesla. The 2018 Prius lineup has seven models. Starts at $23,475 and goes all the way to $30,565. 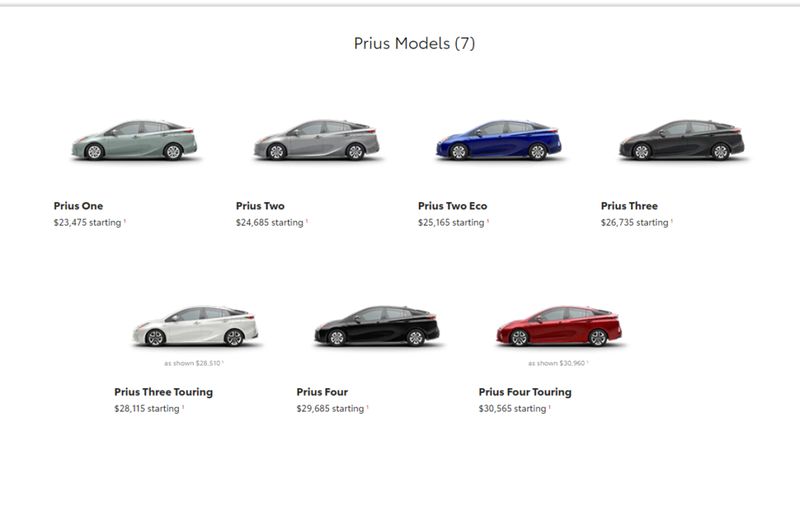 To make sure, I went to Prius configurator, added as many accessories as possible to the highest priced Prius, the Four Touring edition. Total MSRP = $37,778. That’s nearly $7,000 less than the cheapest Tesla Model 3 (rear wheel drive) without autopilot. Model 3 is attracting customers from a segment below. The small and midsize luxury segment in the United States is growing at the cost of lower segments. The US economy is not growing so fast that people have decided to upgrade themselves to the next auto segment. If that was the case, all luxury segment players would have enjoyed stellar growth rate last year. But that didn’t happen. BMW sales increased by 1.7% in 2018, as Mercedes-Benz watched its sales decline by 5.3%. Sales of BMW brand vehicles increased 0.3 percent in December 2018 for a total of 34,357 compared to 34,253 vehicles sold in December 2017. For the full year, BMW brand sales increased 1.7 percent on total sales of 311,014 compared to the 305,685 sold in 2017. Mercedes-Benz reported a 5.3% decline in sales for 2018, as the company sold 355,413 units for the year, compared to 375,311 units sold in 2017. Customers are paying up and upgrading. Not because they want to buy any luxury car, but because they want to buy a Tesla. This has a lot of implications for Tesla as well as other auto manufacturers. The argument that these upgrades are happening because Telsa Model 3 had a huge reservation backlog makes no sense. Nobody forced these customers to stay on what seemed like an eternity to buy Tesla Model 3. They could have bought any luxury car. In fact, plenty of customers canceled their preorders. 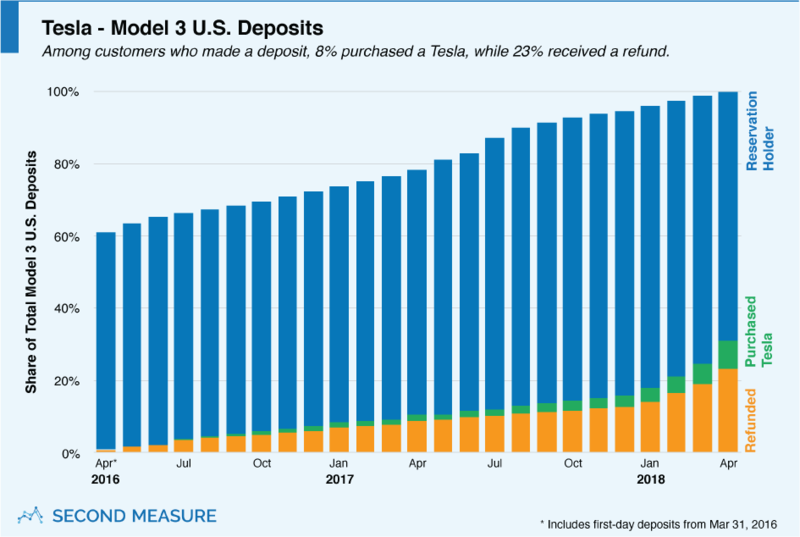 Data from SecondMeasure showed that by April 2018, nearly a quarter of Model 3 reservation holders canceled their preorders. This implies only one thing. Tesla had a reasonable number of new Model 3 orders coming its way in 2018.
a) Absorb the tax credit expiry. To achieve that feat, Tesla will have to drop the price of all vehicles by $3,750 till June and cut another $1,875 after June. Either option will require Tesla to reduce its current average selling price, which is not a easy task for the company that recently turned profitable and hopes to be sustainably profitable in the future. Tesla announced in early January that it will reduce the price of all vehicles by $2,000. 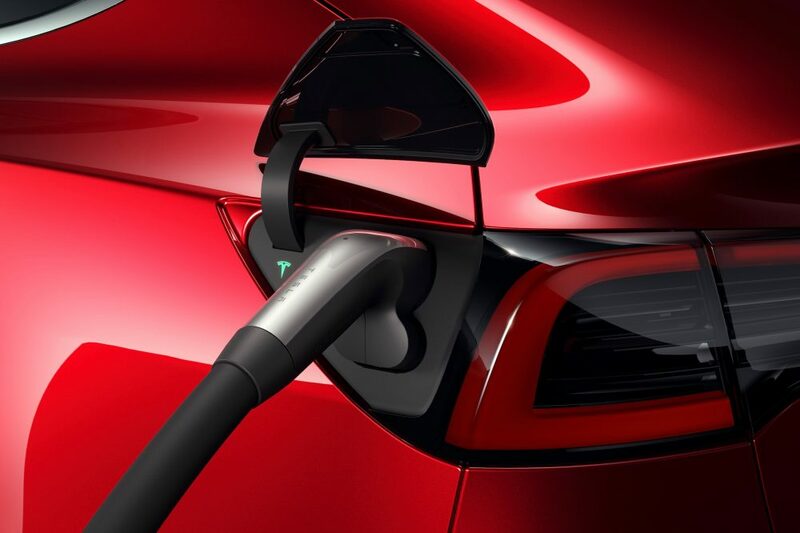 It will be a challenge, but Tesla may have to cut price further to sustain current demand in the United States and if it wants to increase current demand, it has to keep climbing down the price ladder, 1000 dollars at a time. International sales will help with margins and overall sales, but that help will only be good for another six to twelve months, or to be more specific, till Tesla clears its reservation backlog and starts delivering cars within weeks of ordering. Though there are significant challenges ahead of Tesla, most of the challenges can be addressed from within the company. But the same cannot be said for other automakers. Whatever action they take, it will be countermeasures against Tesla to hold their market share. Toyota Prius has now become a huge example of what will happen if Tesla manages to expand its lineup. 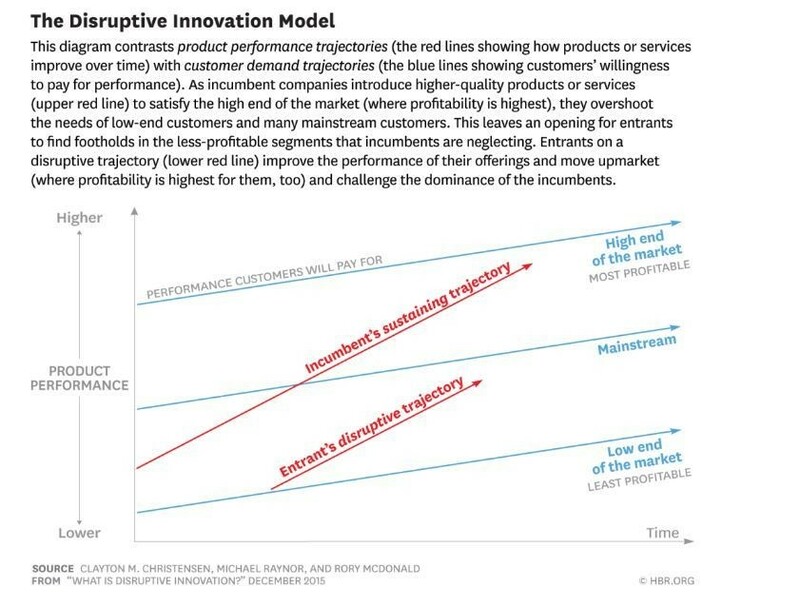 Tesla is disrupting the disrupting innovation model.